Boomstick Comics Sits Down With Blayne Weaver and We Discuss His New Film, ‘The 6 Month Rule’, Peter Pan, Superman, And ‘Grease’!!! I recently sat down with the talented and charismatic actor/director/writer/producer, Blayne Weaver at the Angelika Film Center in Dallas. (Sorry about the noisy background.) We talked about his latest film, ‘The 6 Month Rule‘, Peter Pan (Weaver is the voice of Disney’s Peter Pan), Superman, and much more in this great 25 minute interview. 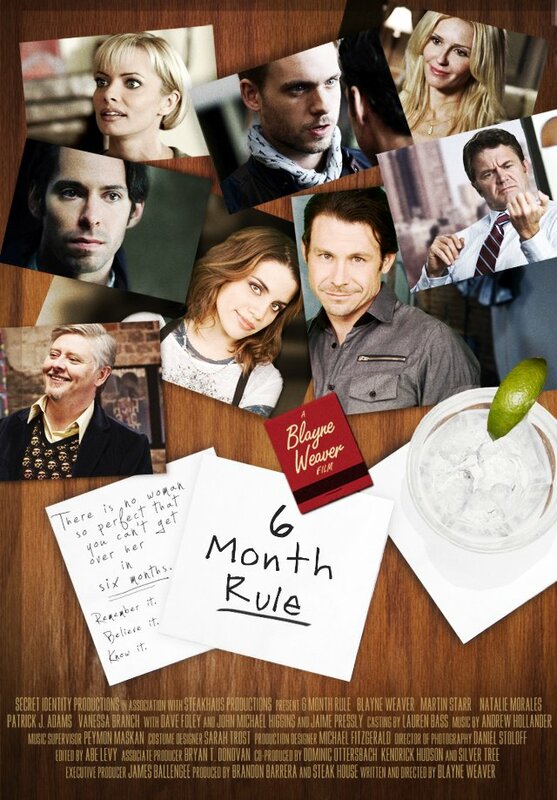 The ‘6 Month Rule’ is much like the film ‘Swingers’, but for a new generation. Its romantic comedy plot line strayed from the rest and showed me something a little different than I’m used to. It was a delight to watch. Twice. If ‘The 6 Month Rule is playing near you, go see it. I think you’ll have fun with the film. Find out more info by going to their website HERE. Enjoy the interview. This entry was posted on Saturday, June 23rd, 2012 at 4:19 pm	and is filed under Film, News. You can follow any responses to this entry through the RSS 2.0 feed. You can skip to the end and leave a response. Pinging is currently not allowed. « Check out the Trailer for Liam Neeson’s ‘Taken 2’ : Electric Boogaloo!! !